I’ve always wanted to be a better photographer. When I first started this blog, I would see other bloggers take amazing photos. I wondered how they took such stunning photographs. Hurry! The Best Buy intermediate photography workshop tours are available July 28 in Seattle, San Diego, Houston, Atlanta, Tampa, New York City and Minneapolis! Find out more about the photography workshop tours here! No matter what I did, my photos didn’t look that great. Sure, they were OK, but they were missing that special something that made them outstanding. So, I decided to invest a little in myself and my business and I took a hands on course in photography. What a world of difference! My photos were brighter, better composed, and I learned plenty of cool tricks for getting the perfect shot. So, when I heard that Best Buy is running photography workshops in major US cities, I just had to share the news! There are photography workshop tours for intermediates, plus free in store photography workshops for beginners. If you live in Atlanta, Tampa, Seattle, San Diego, Houston, New York City or Minneapolis, check this out! Workshops are tomorrow July 28th, and you don’t want to miss them! If you’re an intermediate photographer like me, this hands on workshop may just be what you need. Hurry! The intermediate photography workshop tours are available July 28 in Seattle, San Diego, Houston, Atlanta, Tampa, New York City and Minneapolis! The workshop cost is $50, but includes giveaways, lunch, transportation, and the priceless opportunity to work with pros! Each workshop is a half day excursion that lets you work with pro photographers and Best Buy Camera Experience Shop experts. You’ll go on four individual photo shoots, and get to test and try a bunch of lenses and accessories. After the workshop’s done, you’ll get a bag of camera goodies, plus if you share your photos on social media with the #BestBuyPhotoWorkshops you’ll be entered to win Best Buy gift cards or a dream photography package! Plus, you’ll walk away with some amazing photos at the end of the day! Find out more about the photography workshop tours here! 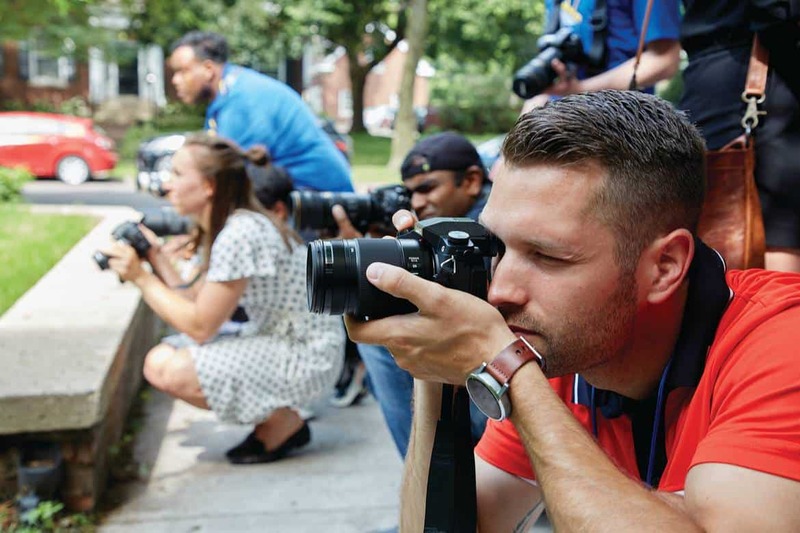 If you’re new to photography the FREE in-store photography workshops are a great place to start! Each workshop is only two hours long, and covers photography basics. Plus, you’ll get 1 to 1 interaction with Best Buy Camera Experience Shop Experts who can walk you through your camera’s settings. When you’re done, you can sign up for the upcoming Photography Workshop Tours on October 20 2018 and January 19, 2019! You can sign-up to be notified when these go live for registration in the fall/winter. Find out more about the free in-store beginner photography workshops here! The Camera Experience Shop at Best Buy is like visiting a specialty camera store, right in the middle of your local Best Buy. There’s expert help at hand from the Camera Experience Shop Experts. Each of the experts goes through intensive photography training & are all photo enthusiasts themselves. Plus, you can find an expanded assortment of cameras, lenses & accessories that you won’t find in other locations. It’s the perfect place to get hands on experience with all the cameras and test and try them in the store! Find out more about the workshops here on YouTube!